Why it is so cold in northern Europe Jump to media player An overnight snowstorm in north-west Europe has triggered transport chaos, with hundreds of flights cancelled, disruption to high speed rail services and traffic gridlock. 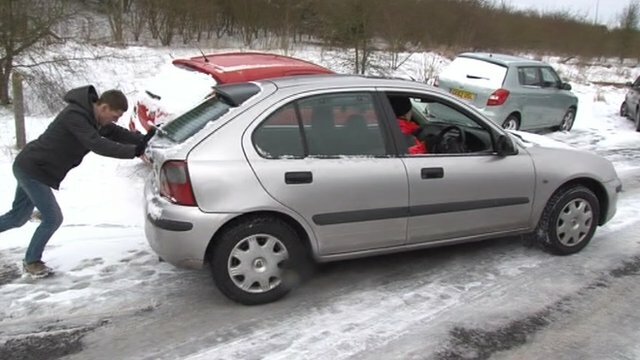 Kent snow causes road disruption Jump to media player Kent Police has initiated Operation Stack on the M20 by closing part of the carriageway in response to the snowy weather. 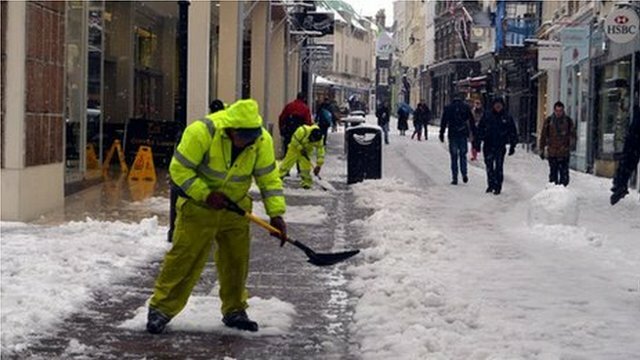 Freak snow storms cause chaos on Jersey Jump to media player All flights have been suspended at Jersey and Guernsey airports for a second day due to heavy snow and gale force winds. 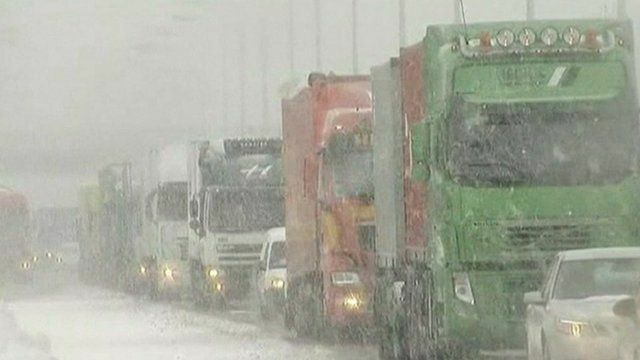 Heavy snowfall has been causing severe disruption in north-west Europe. Hundreds of flights via Frankfurt and Paris have been cancelled. 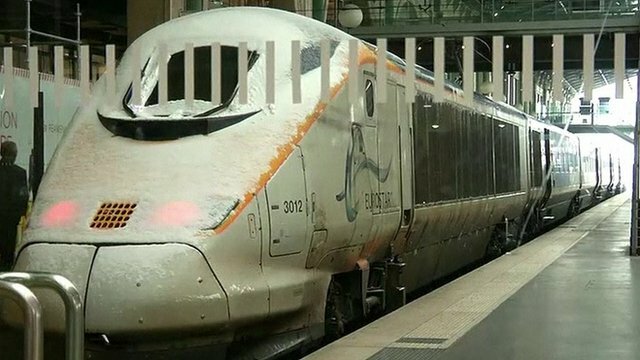 The Eurostar high-speed train service between London, Paris and Brussels has been suspended until at least Wednesday. BBC forecaster Matt Taylor explains why it is so unusually cold in north-west Europe.